You know you want a brighter smile, but you may not know which is the best teeth whitening method for you. 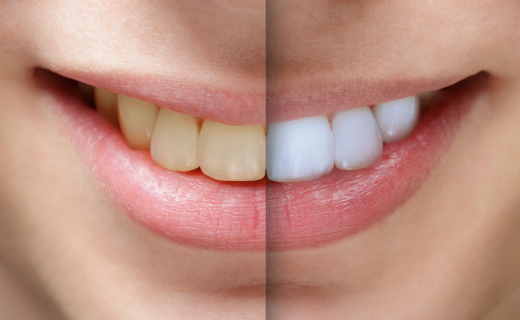 There are many different ways to whiten, but these are the best for a brighter smile. Professional In-Office Whitening If you’re looking for the fastest and best teeth whitening method, dentists strongly recommend this professional whitening option. For the procedure, a powerful whitening agent is applied on the teeth and activated by either a strong light, high heat, or a laser. Results are visible after a single 30- to 60-minute session, but dramatic whitening requires a few treatments. It may be the most expensive option, but it experts consider it the best teeth whitening method today. At-Home Tray-Based Teeth Whiteners Tray-based systems are another at-home option that are available either over the counter or directly from your dentist. They require placing a peroxide-bleaching gel and then wearing that tray over teeth for a few hours each day or overnight. Results typically take four weeks or longer to appear. Over-the-Counter Gel Strips Whitening strips are barely visible strips covered with a peroxide-based bleaching gel. They are worn on the teeth for one hour each day over two weeks. You should start seeing results after a few days, with the final whitening lasting for four months. Teeth Whitening Toothpastes Whitening toothpastes go a step beyond the stain-fighting power of regular toothpaste. They remove dark stains with mild polishing or chemical agents, rather than the stronger bleaches contained in most whiteners. While whitening toothpastes can lighten the teeth’s color by close to one shade, the best teeth whitening systems available in dentist’s offices can make teeth from three to eight shades whiter. Teeth Whitening Mouth Rinses These newer options are basically powerful mouthwashes that include whitening ingredients to lighten teeth while improving breath and reducing plaque. These inexpensive rinses are very convenient since they’re simply swished in the mouth for a minute twice a day, but this limited contact with teeth means that results can take three months to appear, making this far from the best teeth whitening method.